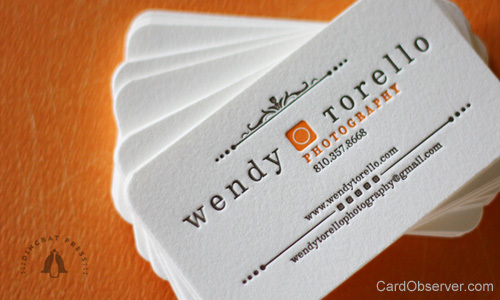 For this letterpress business card, Wendy was looking for a modern symmetrical design with some style mixed in. Something classy & sophisticated but didn’t scream wedding photographer. It was important for this card to address both aspects of the photography genres she represents. By day she’s a photo-journalist with mad skillz behind the lens. She has also been breaking into the wedding market more regularly so she needed something that worked for both clients. Designed and printed by Dingbat Press, via letterpress. Produced 200 cards. 2 Color, 2x3.5' with 1/4' rounded corner radius.